So just to confirm... Big W have their Christmas trees out!! As a crafter I say "Yay!!" As a mom I say "What!!!". 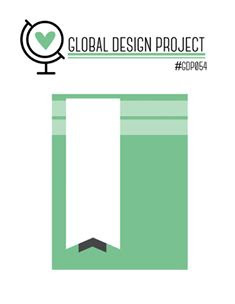 Today I'm sharing my Global Design Project sketch challenge (#gdp054)! I am still in a Festive mood (I keep on being inspired by Stampin'Up! 's Holiday Catlogue). Today features another Christmas card! I found Tenealle Williams' beautiful sketch challenge really difficult! I struggle with banners! But here we go... my take on this week's sketch! I tried to make it work for me. My take on banners... and horizontal lines! I still adore the Peaceful Pines Bundle! It makes for easy cardmaking! I used ribbon for my banners and lines in my paper to try and keep to the design. I loved making use of the Serene Scenery Designer Series Paper Stack for this Christmas card! Go through your stacks of Designer Series Paper and see what you can use for your festive cards! 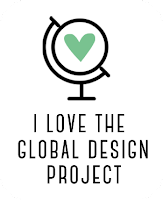 Take part in challenge blogs like the Global Design Project to get your Mojo back (Mojo Monday is also a great challenge blog). Early Espresso is my new favorite paring with the Serene Scenery Paper Stack! Let me know what you think! All your comments are appreciated! I love that we can take a sketch and adapt it to what works for us! Your card is wonderful!! Thanks for playing at Global Design Project with us this week. Thanks Paula! I think I stretched it a bit! Cottage Greetings - You are Amazing! Blog hopping with the Crazy Crafters!